Does My Humidifier Need Yearly Service - RJ Kuhn, Inc.
Like all mechanical equipment, your humidifier should be serviced at least one time per year and that time is now. As the temperatures go lower, so does the moisture content of the air. As your furnace heats up the air in your home, that warm air has the potential to hold more moisture than it did prior to warming it up. However, if your humidifier has not been properly serviced, it may not provide you with the much needed moisture your recently warmed air requires. The evaporative pad must be changed yearly. Not only will minerals from the water gather on the pad, mold spores and other allergens may form on the pad. The minerals may prevent the water from evenly distributing over the pad causing less water to evaporate and more to go to the waste drain; the mold spores and other allergens may be cause unhealthy breathing environment as they are distributed thru the supply duct. The water distribution tray may also become plugged with the minerals from the water, if this happens, water may not flow thru properly to the evaporative pad and may over-flow causing water to drip out of the humidifier housing. 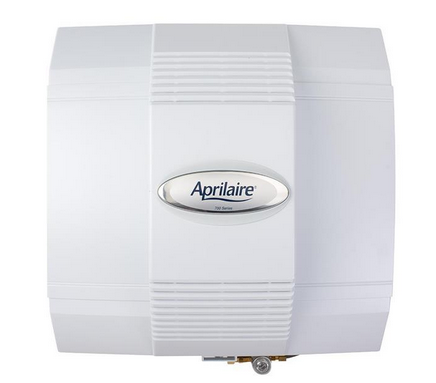 Getting water on your furnace is an undesirable situation due to all of the electronics in your furnace. The scale control insert must also be cleaned as it may harbor mold spores that can create an unhealthy environment should they get into the supply air stream. The solenoid valve needs to be checked to ensure that it is allowing the flow of water when humidistat provides signal and completely stops the flow of water when the call for humidity is satisfied. The humidistat is basically the controller for the system, it measures your homes humidity level and determines if there should be humidity introduced to your home. An accurate humidistat is crucial for proper operation and to ensure water does not form on the windows in your home. The drain must be cleared, mineral deposits can build up over time and prevent the excess water from draining. If this occurs, water will run out of the housing of your humidifier and possibly damage your furnace. The fan must be working to allow the moisture to get into the air stream, ensuring that it is balanced, free of dust and debris on the blades and that the motor is spinning freely will ensure you get 100% of the moisture that your humidifier has to deliver.